Gas Lantern Media | audio, video and words in review: The Walking Dead - "Days Gone Bye" & "Guts"
I'm not usually one to recap television, but AMC's iteration of The Walking Dead demands deeper exploration and thought as a piece of social commentary as much as a piece of both horror and the shambling, ubiquitous zombie craze. The first question seems to be why now, when the whole zombie thing seems woefully played out throughout this decade with films (28 Days Later, 28 Weeks Later, Zombieland, Shaun of the Dead, et al.) and the book Pride and Prejudice and Zombies already spreading the genre/concept thin? The second question is how can any new text/art contribute something meaningful to the concept? 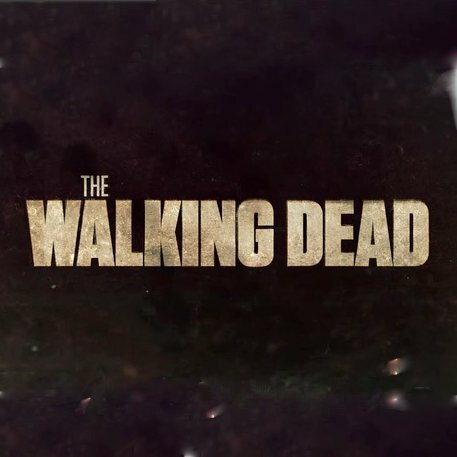 And the third seems to be how The Walking Dead, as translated from its original comic series version, executes the ideas in a valuable way that makes the show worth watching. Zombies are, after all, so deeply ingrained into pop culture sensibilities at this point that adapting them in a new way is nearly impossible, so what's the deal with zombies and why are we still at least vaguely enamored with them? From 2000 - 2010, there have been somewhere around 11+ movies with a focus on zombies or the undead as incapacitated, but still dangerous antagonists. For the purpose of this I'm included Planet Terror from Grindhouse and the Resident Evil franchise too, not to mention the yearly showings of Michael Jackson's Thriller on any and all on demand TV services. We have been exposed to zombification in film in the forms of toxins, viruses, injections, sudden-inexplicable-events and much more, and concept remains desirable. And the concept refuses to die, so to speak, but not because each new reinvention or retelling brings anything specific or new to the genre. Instead, zombie film, and texts, are a combined force of campy nostalgia and sociological study. Their staying power comes from our love of them, and from our fear of what they represent; the animalistic, unfettered, mob-mentality-driven aspect of the human animal. We all feel our society to be a fragile construct based on cooperation (i.e. we all agree tacitly not to kill and eat each other, but we all recognize that as an illusion too) and zombie films, texts, and programs give us that fear-loaded taste of being the last person to find out the social contract has disintegrated. Ultimately, zombie apocalypse is a macroscopic break-up in our rom-com with society and order. The people who survive, who play the protagonists against the hordes of undead, are the broken up with. Society, and the gross majority of the population suddenly goes a new way, altering the arrangement to which we've grown accustom, and that leaves the broken-up-with to deal with the world completely altered, and how their ideals and concepts of reality are not longer applicable. This breach of trust, like a break-up, but even greater as a total reworking of reality is the crux of our fear. We all feel, at least to some extent, that the order around us is temporary and could be upended at any time. This is our fear of war, and famine and all types of destitution. We know that desperation makes strange brain-fellows. And with the concept so simple and over-arching, is there any way to contribute anything new to the narrative? Do we even need new ideas or is the simple basis of that fear enough to drive anything? Ever since Night of the Living Dead (Romero, 1968), the idea of the undead overwhelming the "actualized living" (I call them this because our protagonists, as with ourselves, always define themselves by their/our free will and consciousness, regardless of whether their/our reactions and behaviors are actually chosen by them/us) was demonstrated as the truest test of our social norms and rule-based culture. When the majority has gone a different way, then it is a small group against the changing tide. And for Romero's first film, that minority group was a mix of adults and youths, races (racism plays an essential role in the film, if primarily latent and creeds, all fighting to maintain what they thought reality to be, but also fighting amongst themselves. Zombies test our resiliency against a changing larger society, but also our ability to maintain our society on a microcosmic level. Zombies force us to ask us how enlightened we really are. Can we maintain what we hold to be humanity and order when it is no longer in style? And can we also continue to fight for some level of social justice and order in the face of a collapsing world? Or, are we, as we fear, simply animals who will do what is necessary to ensure our survival, even if it means cannibalism and worse? The short answer to the second question stated in the opening is that there is no need to contribute something new. Society is a wealth of contradictions, fears and breakdowns, and all zombies do is act as a catalyst for what we fear most about ourselves. Which leads me to discuss what The Walking Dead does that other such zombie texts and epics do not. The comic book series, now 78 issues in, digs deeper into the social fear issue. And since, I hope we've agreed, zombies aren't scary as much on their own merit as what they represent about our, maybe id-overwhelmed minds, destroying the order we feel exists, they aren't the point of The Walking Dead at all. The reason that the program should, and hopefully will, succeed is that it is ultimately a massive human drama. This is why in the first episode "Days Gone Bye" no explanation for the zombification of society is given. We don't need to know why, sure we want to know, but what matters is what the people who remain do to maintain what we hope for society, and how they fend off the extinction of culture. (And that's really what it is, right? Zombies don't create art, they don't build, they don't love or feel, they simply act to destroy... which is the thing we fear most in ourselves. A hunger for destruction.) So, we don't need to know why society has fallen into disrepair. The why is usually far more mundane anyway. We need to know what the protagonists will do to keep culture and humanity alive. We need to know/hope that there is some way for our world to bounce back in a better way. Ideally, with each zombie narrative, we hope that there will be a cure or at least that by the end we can rebuild, that even when humans become completely animal, completely primal, we can still start again and do it right so the world will be ordered again. That's the beauty of The Walking Dead. Following one of the most brutal opening scenes in television, we meet Rick and his, then fellow officer of the law, Shane talking about the nuances of love, lust and manhood. Fitting that our first heroes would be actually responsible for the maintenance of societal order. These two men have a special interest in keeping the world safe and upholding humanity as we know it. This is also why we feel so much for Rick when he awakens in the hospital to see that the entire world is different. He believed, in his career, in a certain order of things, and when he sees the destruction and blood in the hospital, it's as much about being scared as being devastated that everything he held dear was an illusion. The unthinkable happened, and all while he was asleep. The first episode, then focuses on Rick's coping with the new world he lives in. The contract is broken. Nothing makes sense. And everything is beautifully drawn out over and hour and thirty to keep use wary of our surroundings. In "Guts" the ante is upped significantly. Rick, who is now trapped inside a military tank in Atlanta is rescued by a group of survivors, all of whom have entered the city as scavengers. Now with a lot of other survivors, a lot of other believers in the old ways, so to speak, The Walking Dead tries to explore the failures of the old society. The episode spends a lot of time on racism, and how one redneck Southerner still holds onto his views of the black survivors in his group despite the circumstances. While I was initially off-put by the over-the-top portrayal, it seems that the core message is that society, the one we lost, but that the survivors still wish to uphold was deeply flawed. How far from the undead were we really? Intolerance still exists, and that seems like a negative that should be seen, understood and remembered. At least as zombies, everyone is equal. So, when Rick cuffs the racist to a pipe on the roof and tells him that none of the old aspects of society exist anymore, it's hard to believe him fully. Sure, Rick is an idealist, a mostly pragmatic, enlightened individual, but his contradiction is difficult. The zombies did destroy the old culture, but simply by surviving they are seeking to maintain it. What "Days Gone Bye" and "Guts" do well is establish the collapse of the world. And how the last vestiges of society react to the change. The Walking Dead, as with all zombie work, is about us, about people, about survivors. The zombies are a convenient antagonist, but the real villains are always ourselves. My hope is that the program will continue to drive the issue of humanity until it breaks itself, really clearly showing that all we need to fall apart is a catalyst. And that our hearts and minds are powerful enough to transcend some things, but too weak to transcend others. Our tentative grasp on order is a ripe topic, especially because it works in en masse and under the microscope. Thanks for sticking with me on this long post. Hopefully my next two episode review will be exposition light and get straight at the show a little more.